By Emma Safran (A&E Editor). As the summer days near, many want the classic summer treat: ice cream. While Crescent Ridge is the obvious classic, some adventurous ice cream eaters may want to try something new. All within 30 miles of sharon and equally delicious, each of these ice cream shops are sure to satisfy your cold cravings. Rated the “The World’s Best Ice Cream” by the New York Times, it’s obvious why “Tosci’s” has survived since 1981. With unique flavors, like the classic Burnt Caramel and B3 (brown butter, brown sugar, and brownies), as well as an ever changing ice cream menu, all who enter are sure to leave satisfied. While prices are a little higher (about $4 for a small), one taste is enough to understand why. Toscanini’s uses only the highest quality milk to make their homemade ice cream. Sip on one of their espressos or vietnamese teas for full-bodied flavors that cannot be beat. Going to Cambridge for a frozen treat may seem like a bit of a trek, but once you’ve grabbed a scoop of the Vienna Finger Cookie ice cream once, you may find yourself going back for seconds. 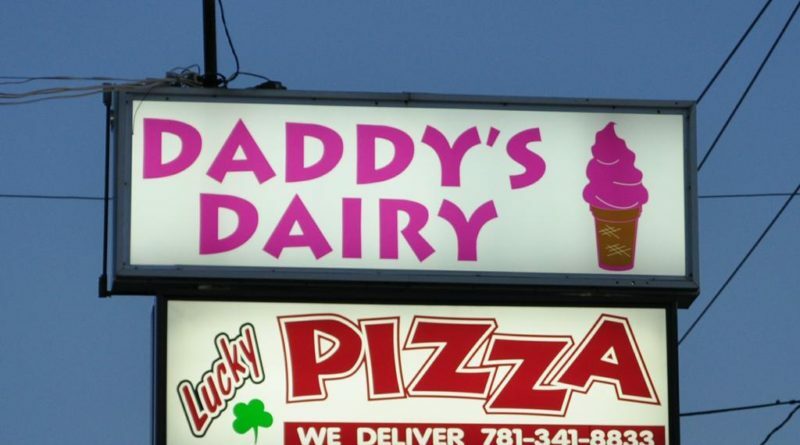 Though located in Stoughton, just a few miles away from Sharon, many SHS students have never once ventured into Daddy’s Dairy to try one of their 80 flavors of hard ice cream and 200 flavors of soft serve. “My friends dragged me to Daddy’s Dairy even though I wanted Cridge and I was pleasantly surprised. I got the ‘Cookie Monster’ flavor with extra cookie dough on top and it was so good. I’d go back again,” said senior Sydney Mayo. While their soft serve is the perfect post-beach delight, don’t be fooled: the 200 “different” flavors are just basic vanilla or chocolate swirls with artificial mix-ins. Instead, choose from the hard ice cream menu, which consists of plenty of “Richardson’s” brand options. Each is rich, creamy, and filled to the brim with candies and treats. Daddy’s Dairy is a chain, but the small Stoughton shop remains homey and retro with pink walls and a black and white tile floor. For vegans and non-vegans alike, check out FoMu for ice cream that somehow remains delicious and creamy sans milk. While plant-based ice cream may sound unappealing, FoMu has become so popular that its original Jamaica Plain shop has expanded into 3 more stores all around Boston. Try chocolate pudding, salted caramel, or fresh mint chunk and be amazed. The ice cream, which costs $11 a pint, is on the pricier side like many vegan alternatives, but every bite is worth it.